So, weird thing, right? I tried to update my blog on Sunday, and for some reason, it wouldn’t load. I’m convinced there was too much Oscar traffic. Do people liveblog on wordpress? Do they I thought that was what Twitter was for! So anyway I did my taxes so I can apply for FAFSA. 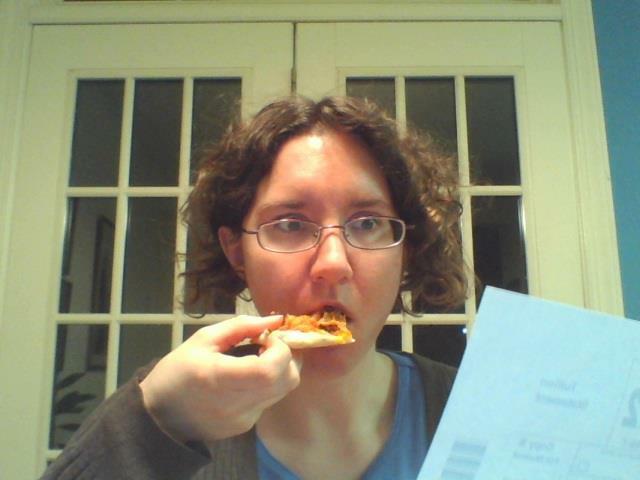 I’m not sure why I take so many pictures of myself eating. Well not really. 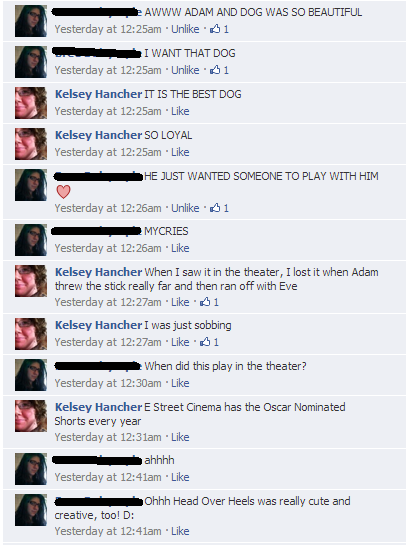 I was also paying attention to the Oscar results. Well, the Oscar results that mattered. Also I feel like that’s a really awkward shot. Mostly because Angus is so gigantic and That Triplet There is so tiny. Hosting pictures is like free hits to your site! The real drama, to me, is in the animated shorts. Some people might disagree with that. Also, some people probably disagree with me in general about who should have won. I’ve actually seen all the Oscar nominated shorts — all of them. On Sunday 10 my twin sister, her boyfriend, and I went to go see them. It was in celebration of my twin and my’s twenty-sixth birthday. Maggie Simpson in The Longest Daycare- which had the feeling of an also-ran. Although it featured classic Simpsons characters, it didn’t have classic Simpsons gags. Instead, it was just trying to save a butterfly from the Unibrow Baby. It had a few cute gags, but the 3D CGI was really awkward (especially in crowd shots, such as when Maggie was trying desperately to get to the window). 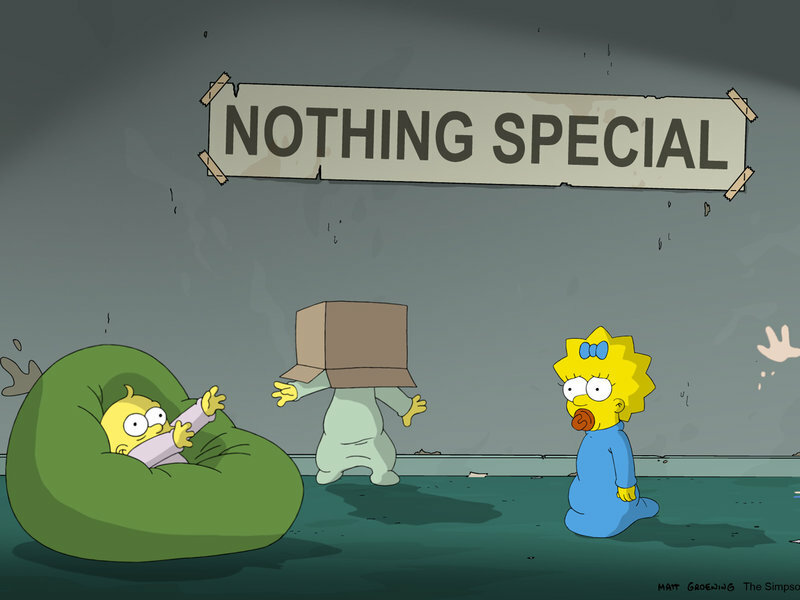 The Simpsons has occasional shorts in the Ayn Rand Daycare Center, but they tend to be parodies. This one has a nod towards its Objectionist-mocking roots in its establishing shots (see the picture above), but then a dull plot. Fresh Guacamole- which also has the feeling of an also-ran. This one is just so creative, featuring visual puns and a zesty plot. It felt worth a nomination, but not a win, you know? It was short and adorable and it made me laugh. It just didn’t feel like an Oscar winner, I guess. I thought this was a surefire win. It was so obvious that I thought it couldn’t, because that would be too easy. The art is gorgeous. 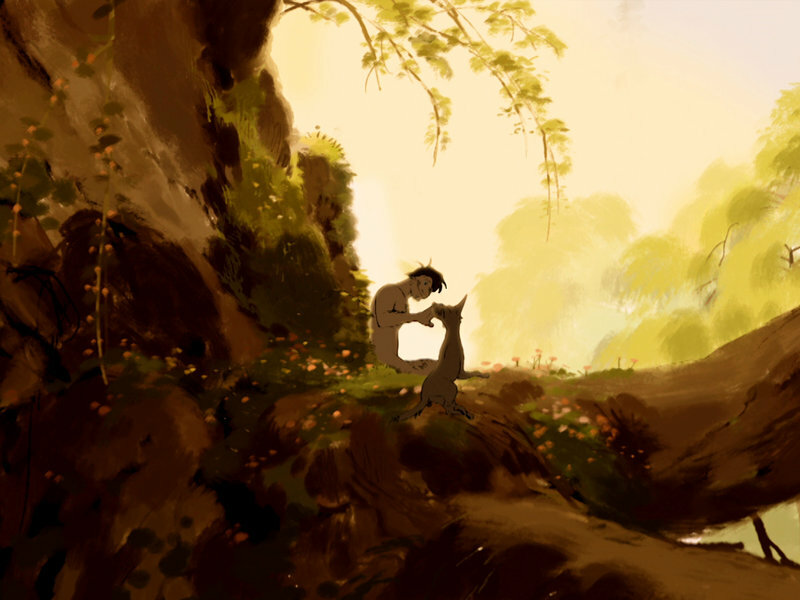 It has the feel of a series of paintings with just a few pieces of animation in there. The dog really moves like a dog. You can feel the dog’s energy. There’s a certain feel to this movie, and the dog moves too fast for it, and the man moves too slow for it. You can feel the connection there. Head Over Heels- I thought was going to be a come-from-behind winner. 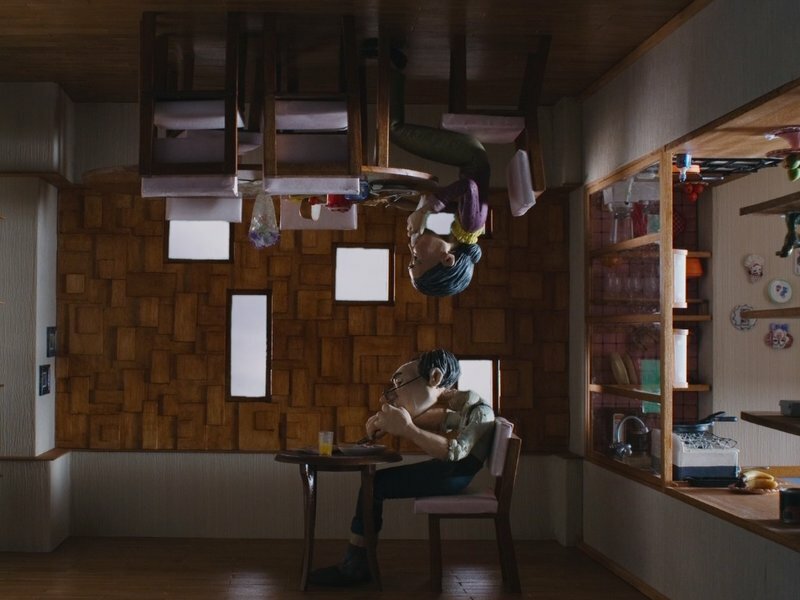 “If Adam and Dog isn’t going to win,” I thought, “Then surely Head Over Heels will.” Maybe it’s just because I have a soft spot for claymation, or maybe because this is such an unusual story, about such an unusual period in life. It’s a visual metaphor for a married couple late in life, where they’re so settled into their routine and each other that they take each other for granted. They have their own space and they’re really comfortable, but there’s a separation, you know? And you have to reach out to that person — but they might not even know you’re doing it. Or it’s about a couple whose gravity is completely whacky and the silly/depressing reality of that situation. In either case, a really good story with nice visuals. This movie is actually really cute. It does deserve love. Did it deserve to win? It doesn’t cover the same interesting ground that Adam and Dog or Head Over Heels does. There is something very really about the characters. The 3D is much more ground and real than in The Longest Daycare. It tells its story simply and visually. It makes you laugh in the right places, gasp in the right places. You want George and Meg to get together. You can immediately feel the world it shows. It is a very animation short. It’s just that Adam and Dog and Head Over Heels were better! That’s all it is, really. 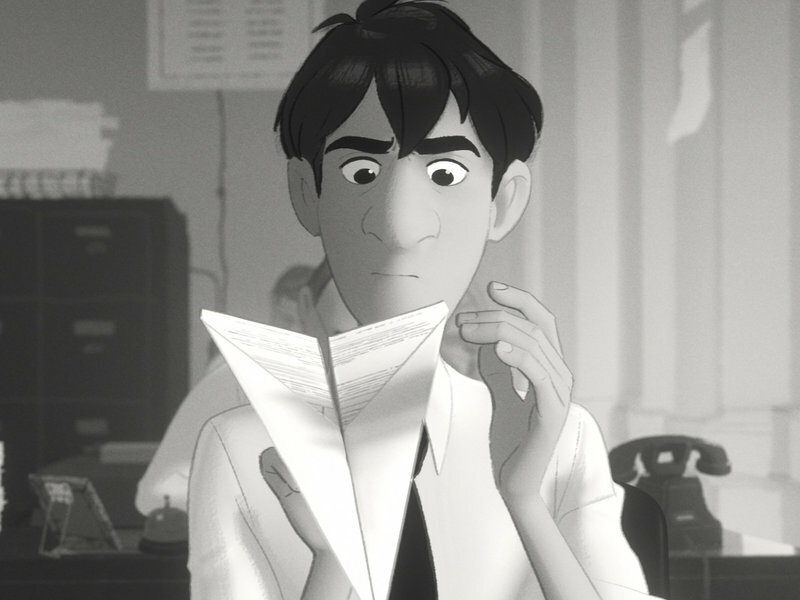 Paperman was interesting to look at; Adam and Dog and Head Over Heels more so. Head Over Heels had a deeper and more ambiguous love story. They were just better, that’s all. Historic Mount Vernon’s Facebook Page broke the news today that Wisconsin’s governor, Scott Walker, has signed an official proclamation that in Wisconsin, February 22 is “George Washington Day”. That reminds me as well that my representative in Congress, Frank Wolf, is spending my tax dollars and I guess my time trying to get George Washington’s birthday made a Federal holiday again — no more of this generic “President’s Day” crap. Admittedly, the first two federal holidays in the country was July 4 and Washington’s birthday, but times have changed. We found a second awesome President with a February birthday (Lincoln). President’s way is a way to acknowledge both Presidents. I find it weird that Walker and Wolf, two folks who are into small government, are trying to get us to celebrate a friggin’ Federalist. First President who won the Revolutionary War or not, he did not agree with their politics. The Founding Fathers were men, not symbols. That’s what makes them so interesting, so fascinating. The Constitution was not handed down to us from on high, but reached over several months of compromise. The Declaration was primarily written by Thomas Jefferson, but it was still written in committee. I find myself insulted by this movement to honor George Washington as a way to demonstrate patriotism, just as much as I’m concerned about Texas’ attempts to downplay Jefferson’s role in history. 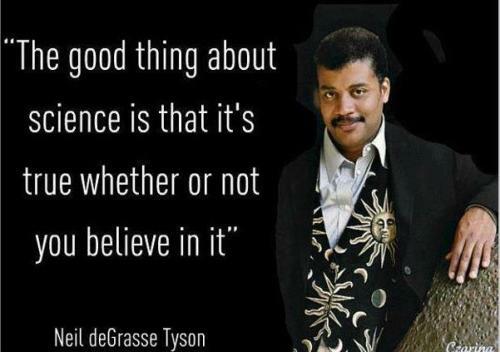 History is like science. Anyway, if we’re going to mess with President’s Day, why would we stick with just honoring Washington and Lincoln? What other days could we choose? 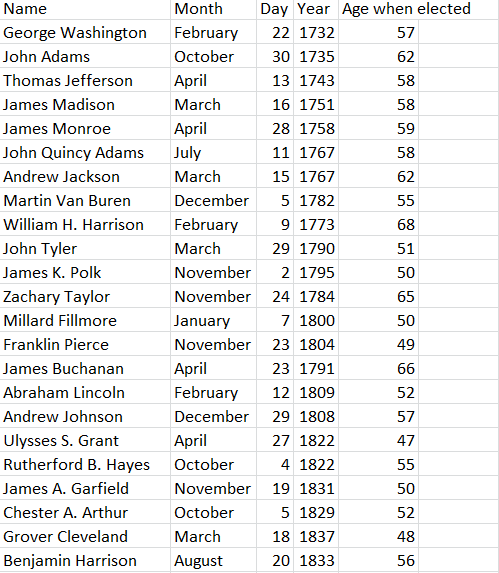 To that end, I made a list of every single birthday of every single President. -The average age at the time of their inauguration was 55 years. -Grover Cleveland was only 48 at the time of his first election — the first President under 50. No wonder he came back four years later, he had time! -We’ve had 6 Jameses, 3 Georges, and 4 Johns. 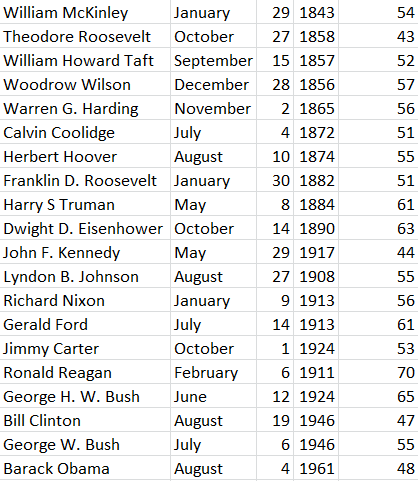 If we’re going to start picking arbitrary Presidents Days, I would go with either November 2 or October 29. And if your name is James, your birthday is November 2 or October 29, and you’re 54, you should probably start running for President. Part of working at Home Depot is that during Power Hours, an associate has to stand at each entrance and greet incoming customers and make them feel welcome. And hand them fliers regarding our latest sales. Some associates hate the work, some take it super seriously, and some try to have fun with it. An hour spent standing there is an hour wasted/not working/doing something different. During the wintertime, everyone hates the work. Every time the door opens, a new blast of cold, freezing air comes in. The gigantic heater hanging over the door only comes on intermittently. So basically, it’s an hour spent in the freezing air. I get through the hour by practicing the Basic Step for lindy hopping. 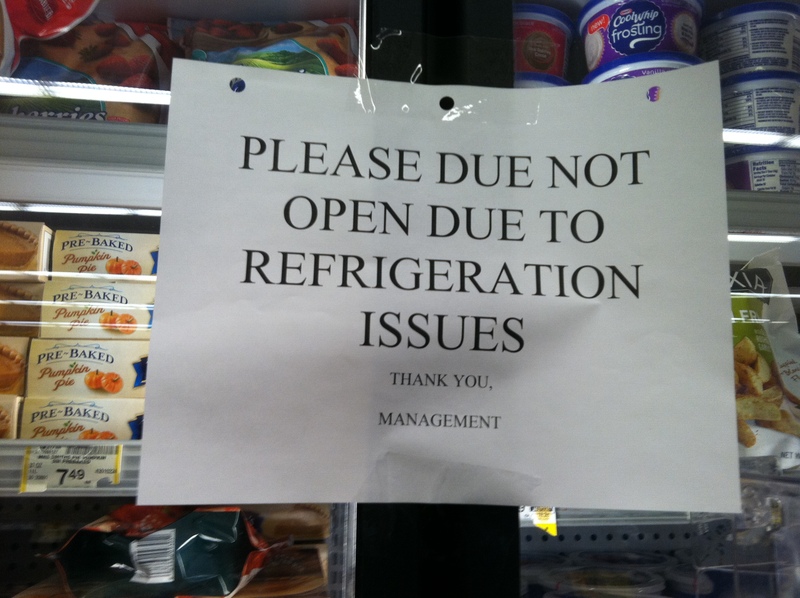 I’m becoming well-known around the store for that. On Sunday I had to greet instead of go on my scheduled lunch. I promised myself that I would make macaroni and cheese for dinner if I just didn’t die during my hour of greeting. The macaroni and cheese that I made was based on a Betty Crocker recipe, but because I am not the greatest cook ever, the recipe ended up being modified quite a bit. Also, my family wanted mac and cheese too, so I had to double the recipe. Pre-heat oven to 350 degrees. Your father will grumble that that’s not hot enough, but your mother will assure him that’s a perfectly normal recipe to bake a casserole at. Dump the whole box of pasta into the pot. Seriously. 4 cups is a whole box of that fancy rotini your mom got. Boil that sucker. While all that’s going on, complete mise en place. Combine dry ingredients in a bowl (flour, salt, pepper, mustard if you got it). Shred the cheese. I would really recommend shredding the cheese yourself. There’s nasty chemicals in pre-shredded cheese to keep it from congealing. Pour your four gallons of milk. Seriously, you need to be able to toss that altogether all at once. You won’t have time to measure later. Melt the butter. When that’s done, toss all your dry ingredients into the butter and quickly measure out the worchestershire sauce. Drop the dry ingredients bowl into the pan. Burn your hand getting it out. Drop the bowl onto the stove, sending flourbutter everywhere. Curse everything. Stir until it’s all smooth. When it starts bubbling, take it off the stove. Stir in the milk. You could do like me here and only pour in half the milk, but I wouldn’t really recommend that. Stir in the milk until everything is all smooth again. Put it back over the stove and stir some more until it’s boiling. Let it boil (while stirring) for a minute (or two, if you’re my mother, it doesn’t really matter). Stir in the mystery cheese and the pepper jack. Stir until smooth again. Realize your creation is coming out a bit more solid than you would prefer. Realize there’s a second measuring cup of milk sitting out. Panic. Pour the milk into the pan. Your mother comes in and asks if she can help. Tell her that everything is fine, just fine. Weakly stir the milk because there’s so much milk you’re afraid stirring too strongly will cause a spill. Your mother will take out a casserole pot and tell you to pour everything in there. Miraculously, nothing spills. Your mother will take over stirring while you clean up the mess with the bowl and the flourbutter. Taste results of your mother’s stirring and declare it to be too milky. Add the ricotta cheese. Stir until smooth. Drain the pasta and pour it into an appropriately-sized casserole dish. Pour the cheese sauce (roux) onto the pasta, and stir until all the pastas have roughly the same amount of cheese on them. Sprinkle the gouda on top of the casserole generously. Bake for twenty to twenty-five minutes. Allow to cool for five minutes, and then serve with an optional side of bacon because just because your parents gave up red meat for Lent doesn’t mean everyone has to suffer. Next time use gouda instead of mystery cheese. When I say that I’m in the mood for Chinese food, what I typically mean is: I want veggie spring rolls. They serve them at every Chinese-American restaurant I’ve encountered. They are crispy and delicious. 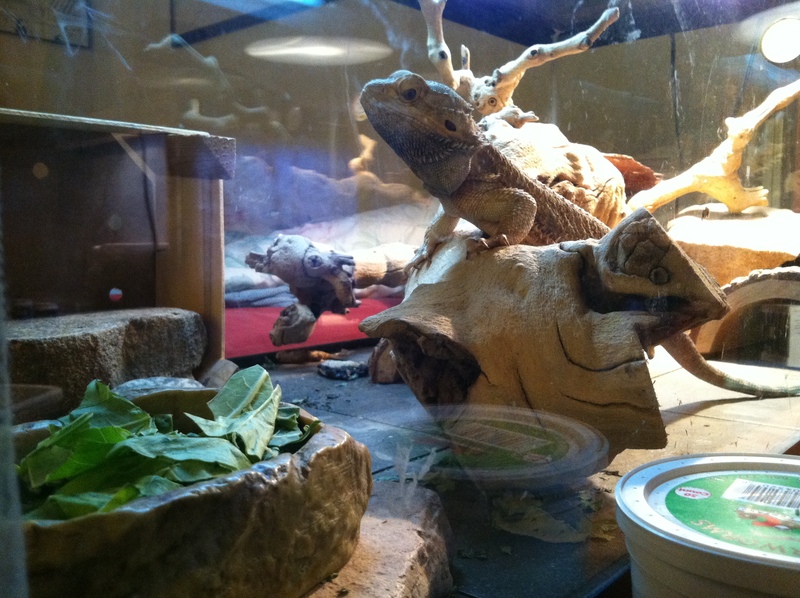 I want them now. So after work today, I stopped outside the clock-in machine and looked up recipes for spring rolls on my phone. I located this one, which looked promising. I realized that I would be doing much the same as that blogger did, take pictures of the process of making those spring rolls, but who cares? I’d be making the recipe for the first time. 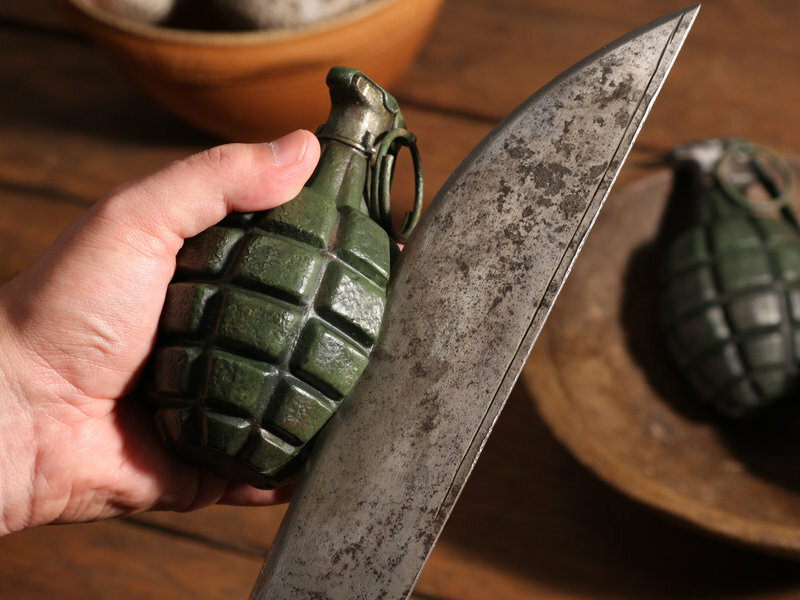 Surely that would add something new to the recipe. 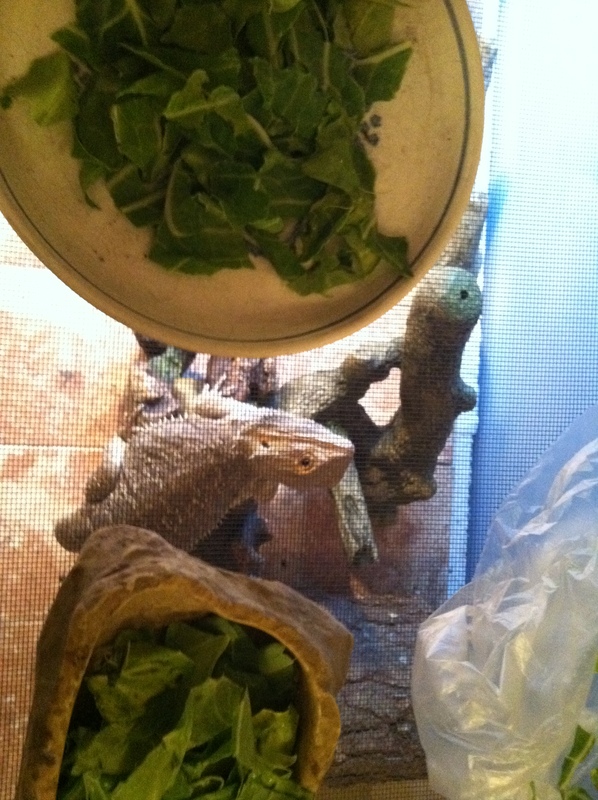 I decided I would buy veggies for my handsome boys, because they haven’t had veggies in a while. I went to the grocery store. This involved visiting areas of the store I hadn’t really spent time in before. I honestly can’t decide if that’s the correct “due” or not. Do to? Due to? This recipe called for ingredients had never used before — I was disappointed to learn that you just buy these. I had most been looking forward to making the wrappings, although in retrospect that probably would have been the most difficult part of the process. The recipe called for “oyster sauce” which I had never heard of before. Apparently that’s the flavoring in a lot of Chinese foods though. 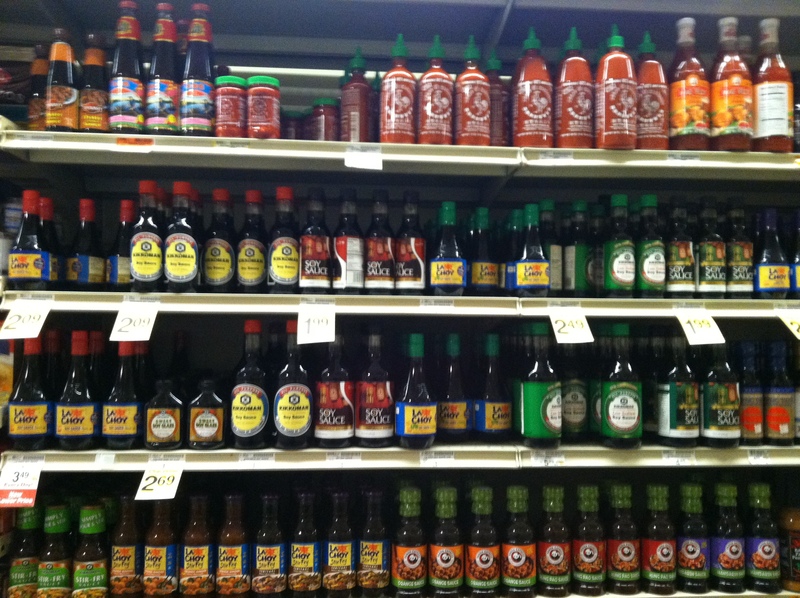 I had to take a picture of the aisle I grabbed the oyster sauce from — all of that is soy sauce, and there’s soy sauce in other aisles as well. Where is the oyster sauce? There’s one option of oyster sauce, up in the very left-hand corner. Oyster-flavored sauce. Close enough. They had Superbowl and Valentines Day options in the impulse grab section. I took this picture because I thought the bear was wearing a bikini, which is hilariously tacky. After reexamining the bear, I realized it was a bee. 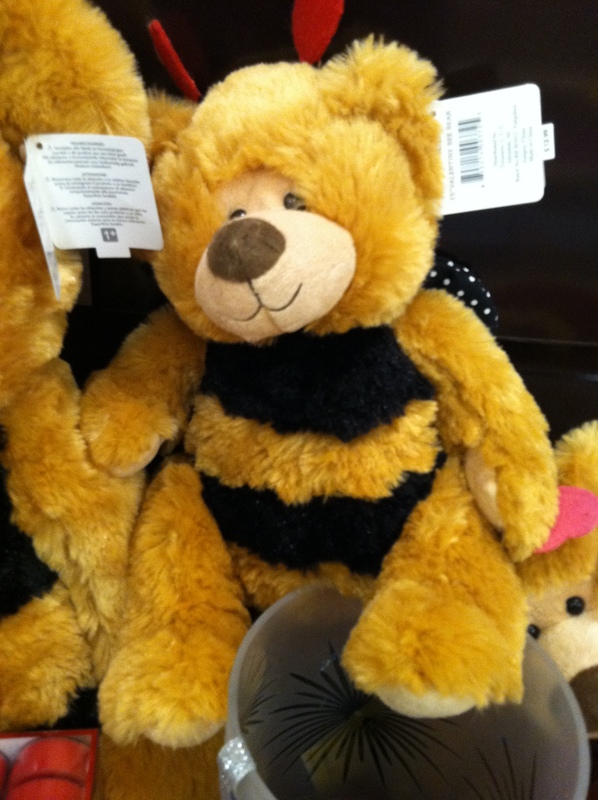 Bee My Valentine, is the point of the teddy bear. Which is still pretty tacky, but less ridiculously so. For the most part this recipe didn’t call for unusual foods, but it did call for foods prepared in a way I had never done before. I was supposed to grate ginger. 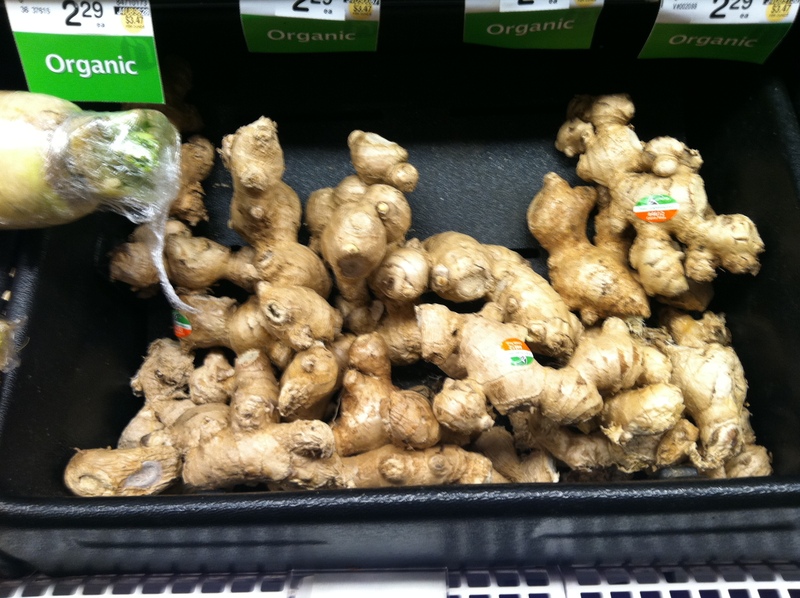 I realized that I didn’t even know what ginger looks like outside of a powder. This, I realized, was part of the reason why I force myself to make foods like this — so I can understand where things come from. So I don’t lose touch with the way things are. The powdered ginger in my mother’s cupboard came from somewhere. Someone made those veggies rolls I so love. 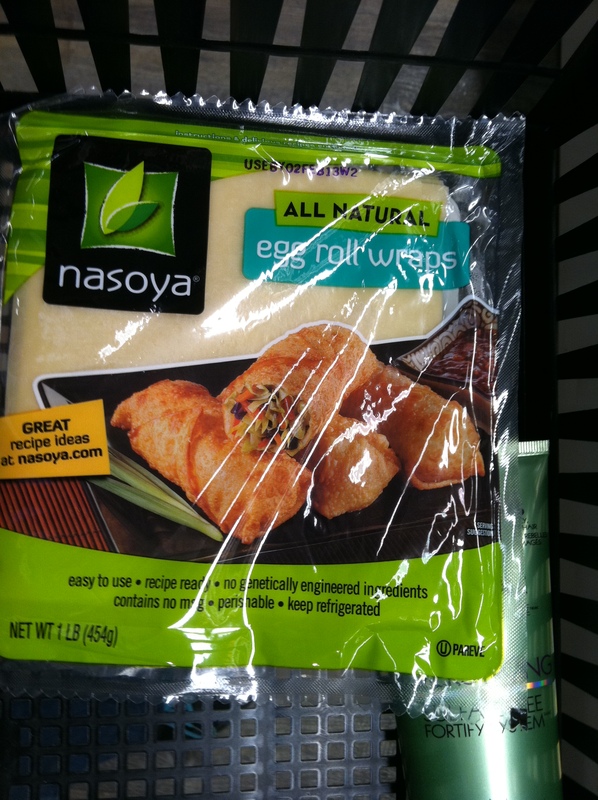 But as I neared the check-out, I realized that these veggie rolls would take time to make. Time that I didn’t necessarily have. I have a journal entry due on Blackboard at 9:30 tomorrow morning, and I still need to read three chapters for that. I still have two chapters due for US History through Its Holidays. And of course I’m probably all kinds of behind on Post-1949 China. I stood there in the store and debated. I really wanted to make veggie rolls. It would make me internet famous, maybe, and also I really wanted crisp, crunch veggie rolls. But I need to finish my history degree. With a sigh, I put everything back. I figured that since I was doing the responsible thing, I may as well treat myself. Since Mom wasn’t going to be around to judge me, I bought a can of pears to eat straight out of the can. I bought a pre-cooked chicken because I haven’t had meat all by itself in weeks. 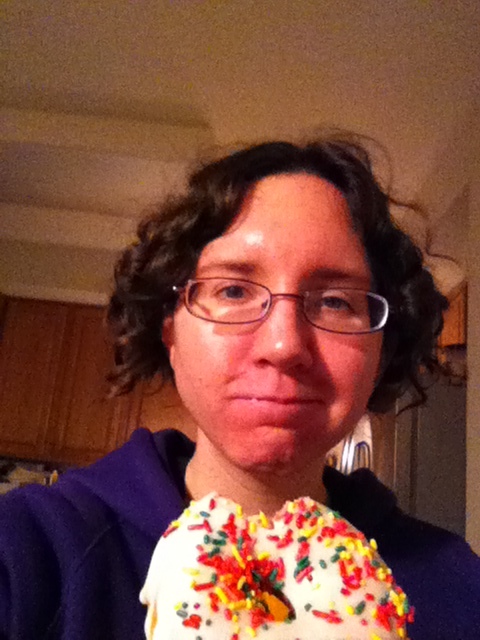 And I bought a donut. And I still bought veggies for my handsomes. 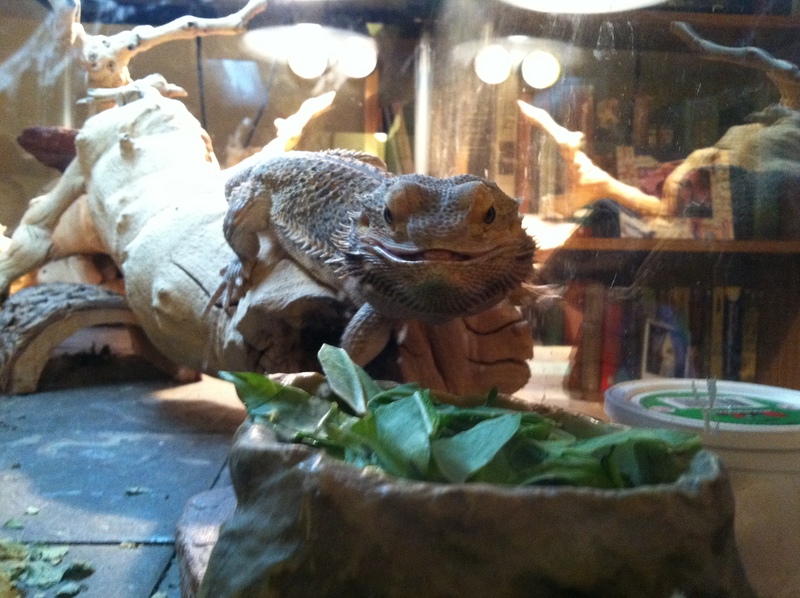 Sonny was very excited about veggies. I did not pose him. This is how I found him. 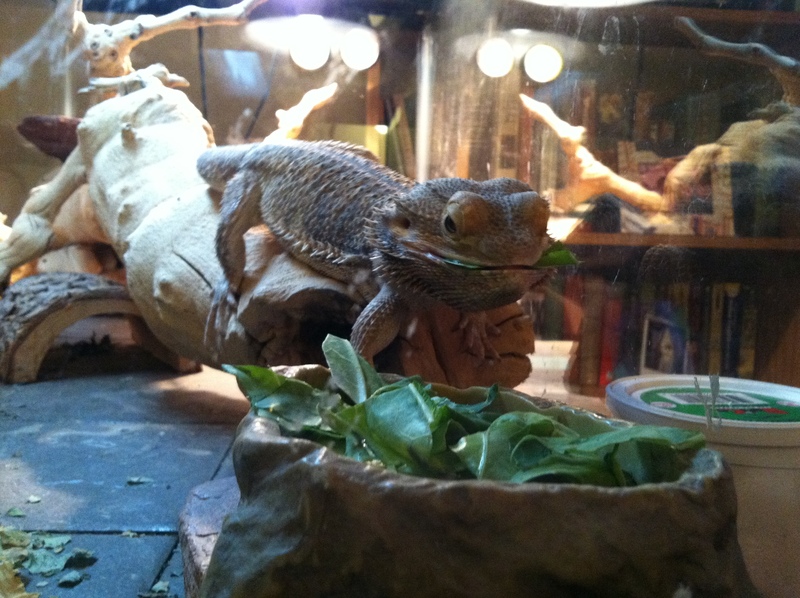 Slinky was less certain about his veggies. 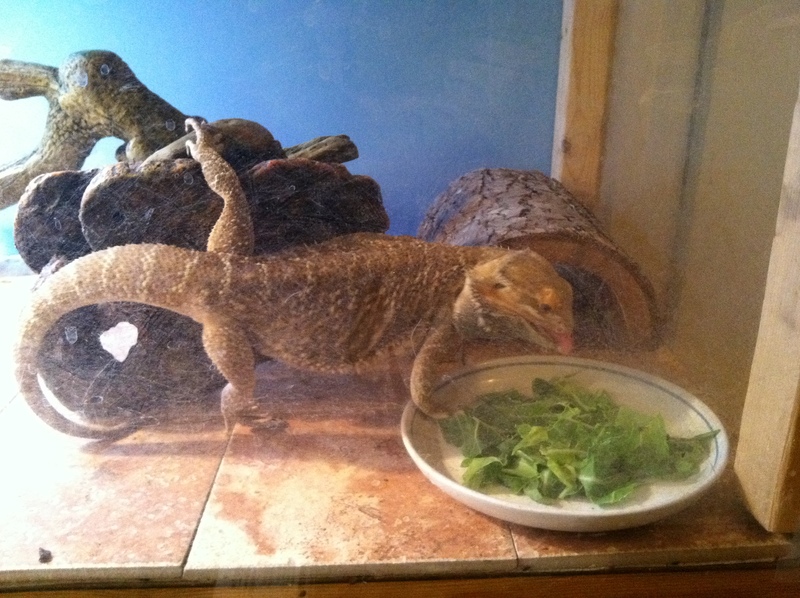 It took a superworm to even get him this far. He came around eventually though.